The government's move to increase the minimum selling price of sugar will augur well for the mills and is expected to increase their operating profit margins by 6 per cent, says a report. The government has increased the minimum selling price (MSP) of sugar to Rs 31,000/MT from Rs 29,000/MT (announced in June 2018), to support the oversupply hit sugar industry. The rating agency Icra said that this is likely to translate to an increase in operating profits by around Rs 2/kg sugar sold which is around 6 per cent increase in operating margins. "The increase in MSP of sugar is positive for mills and expects the hike to improve the operating profit margins of sugar mills by around 6 per cent from the current levels and also aid them in clearing cane dues to farmers," Icra said. It noted that the sugar prices were relatively subdued at around Rs 29,000/MT in the recent months, resulting in high cane arrears of around Rs 20,000 crore as on January 2019 end. 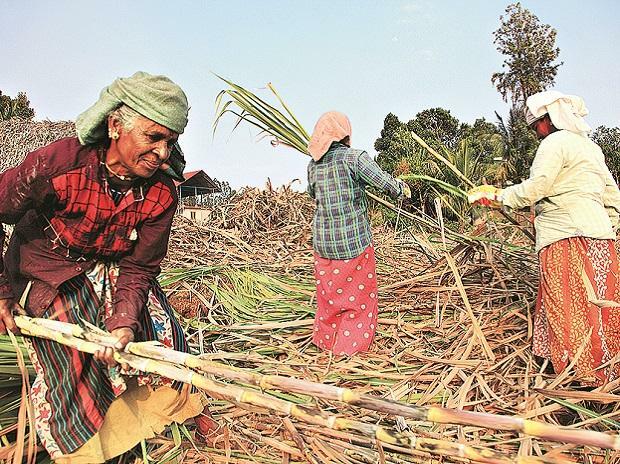 "While, the MSP hike is a credit positive for the sugar mills, and also benefit cane farmers through better settlement of dues, the government's ability to enforce the price regulations will be critical," Icra Ratings senior vice president Sabyasachi Majumdar said. Icra noted that as per the latest estimates on domestic sugar stocks, the production for sugar year 2018-19 is likely to be 30.7 million tonne (MT) as against the earlier estimates of 31.5 MT. "This is after considering the diversion of B heavy molasses and sugarcane juice from sugar into ethanol. Notwithstanding this and the estimates of growth in domestic sugar consumption by 2-3 percent to around 25.8 MT in sugar year 2019, the production would still be higher by at least 4.5 MT than the estimated consumption," it said. It added that the closing stocks are likely to remain high around 12 MT given the high opening stocks of around 10.8 MT from the previous season, while noting that given the prevailing over supply situation, the domestic sugar prices have also remained under pressure.